Asia fixed income: Risk-reward still attractive In the past month, idiosyncratic issues transformed into broad concerns for EM bonds and caused broad EM bond outflows. EM local currency bonds fell by 6%, while EM hard currency bonds fell by 1.7%. Asia, on the other hand, has been rather resilient (see chart). This can be attributed to the region’s lower percentage of foreign currency debt and a larger local investor base. China’s recent policy shift toward stabilizing liquidity has also had a positive impact on the rest of Asia. Looking ahead, despite the ongoing trade uncertainties, both EM and Asian bond markets continue to offer attractive risk-reward. Coupled with anticipated USD consolidation and a very gradual rise in US Treasury yields, we expect EM and Asian bonds to deliver positive returns for the rest of the year. Asian bond portfolios: short-duration USD IG credits favored: our preference for short-duration IG credits has been rewarded as they have outperformed most major Asian bond benchmarks year-to-date. Resilience in choppy markets coupled with attractive yields makes this section of the market the best risk-adjusted opportunity in Asian credits in our view. Hence we continue to prefer IG over high-yield corporates. Overall, fundamentals are still intact as credit metric AAUC are in an improving trend and valuations have turned more attractive. Moreover, short-duration (1–3 year) Asian corporate bonds are resilient to movements in the US. Treasuries and credit spread over a 12-month horizon. In our central scenario, where we expect US Treasury yields to rise gradually as credit spreads tighten by 50 bp over the next 12 months, the bond portfolio is forecast to return an appealing 4.7%. USD corporate high yield – maintaining a neutral stance: Asian high yields are stabilizing as the People’s Bank of China’s (PBoC) fine-tunes its policy on credit and its currency. The benchmark index ended flat, even as sentiment toward EMs turned negative. Trade tensions and refinancing issues continue to weigh on this market segment, but attractive yields and improving fundamentals are likely to provide support. We thus retain our neutral stance and forecast total returns over the next 12 months at 6%. We continue to consider only high-yield credits with strong fundamentals. 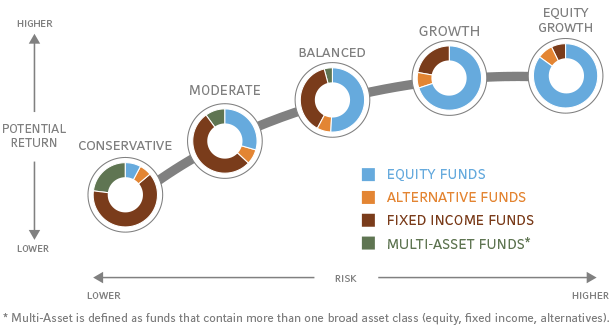 We believe investors should continue diversifying into other EM bonds and preferred shares to dilute the acute risks facing the high-yield segment. Local currency sovereign bonds – upgrade Thailand and Malaysia to neutral: we remain positive on EM local currency bonds based on their attractive valuation vis-à-vis G10 bonds, especially after recent repricing. EM growth fundamentals remain supportive and real rates are attractive. In Asia, we are changing our underperform view on Thailand to neutral. The recent macro data point to a somewhat slower growth rate in H2 after a robust H1. Moreover, after sending a strong signal for a rate hike earlier in the year, the central bank governor recently expressed a view that Thailand is not facing pressure to hike in the near term. We have also changed our view on Malaysia from underperform to neutral. The central bank is likely to be on hold as growth is weaker than desired and inflation is low, and fiscal consolidation since the election is likely to keep future bond issuances in check. Hard currency sovereign bonds – upgrade the Philippines to neutral and China to outperform: we remain positive on EM hard currency bonds after the recent correction. We think the asset class offers much wider credit spreads and lower sovereign ratings than the economic fundamentals warrant. We have turned more constructive on Asia over EMs due to the region’s resilience to capital outflows. In our Asian hard currency sovereign portfolios, we have now changed our long-held underperform view on the Philippines to neutral. The technicals have turned positive and the prospect of further underperformance by the longer- duration Philippine sovereign segment seems limited as we no longer expect US yields to rise much in the next 3–6 months. We have also changed our view on China to outperform as the shift in policy toward a stimulus is likely to bolster domestic demand. Moreover, China’s FX debt (as a % of GDP) is one of the lowest in the EMs. We remain neutral on India, Indonesia, and Malaysia. Asia FX: In a tug-of-war After a month of mixed performance, Asian currencies will likely remain in a tug-of-war with the USD due to elevated event risks. The ongoing US-China trade tensions will continue to weigh on the CNY, which will likely have a knock-on effect on other Asian currencies. The recent stabilization of the CNY has benefitted the trade-sensitive currencies like the THB, but the calm may not last if tensions escalate yet again. In addition, deficit currencies like the IDR and INR could remain under pressure amid EM contagion risks. Turkey’s currency crisis has led to the weakened sentiment with regard to EMs. Within Asia, the INR and IDR!